Coconut is rapidly becoming one of my favorite flavors. 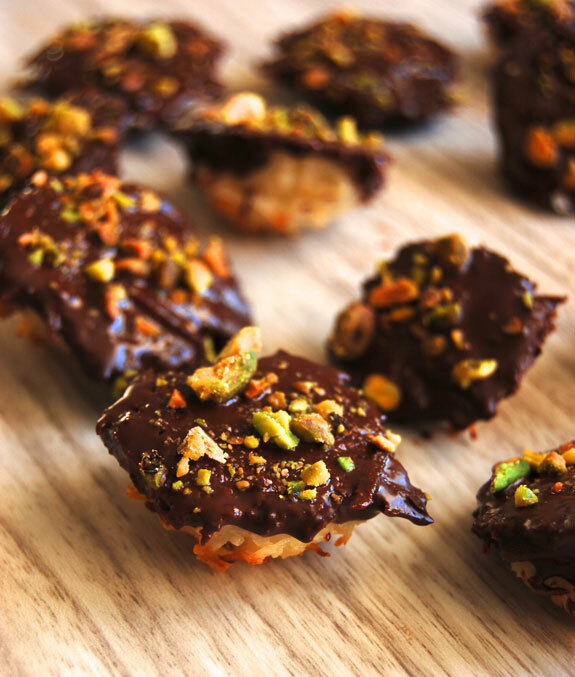 This recipe highlights coconut in the form of a macaroon, with some added chocolate for decadence and pistachios for saltiness. 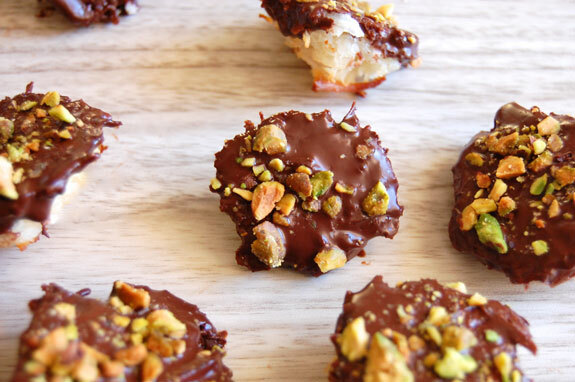 These bite-size treats are delicious and naturally gluten-free. Coconut provides a lot of fiber and healthy fats to the macaroons, and they are lightly sweetened with honey. They are crispy on the outside and moist and chewy on the inside. The inside almost tastes like the inside of an Almond Joy bar. I wanted to not only dip them in chocolate (my favorite addition to macaroons) but I also wanted to add a hint saltiness. Hence the chopped pistachios that are sprinkled on top. You could also use candied ginger for a different kind of tasty decoration. My main memory involving macaroons is seeing them on display at the bakery when I was young. A slightly sweet smell filled the air, and they were still warm from the oven. Choosing which one you wanted was always exciting, as you tried to pick out the very best looking rounded macaroon. When you popped one into your mouth it would melt on your tongue, and always leave you wanting more. Macaroons turned out to be easier to make than I had anticipated. 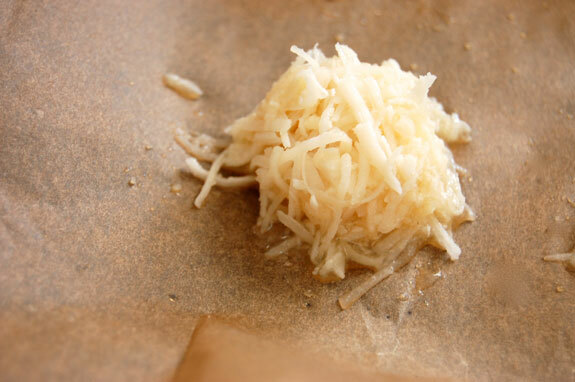 Coconut flakes are combined with eggs and honey and baked in the oven, then cooled. You want to make sure that the coconut flakes soak up all of the liquids so that the macaroons turn out moist and chewy. The lemon adds a bright note among the sweetness. These coconut macaroons taste like they could be from a bakery but are made right at home instead. 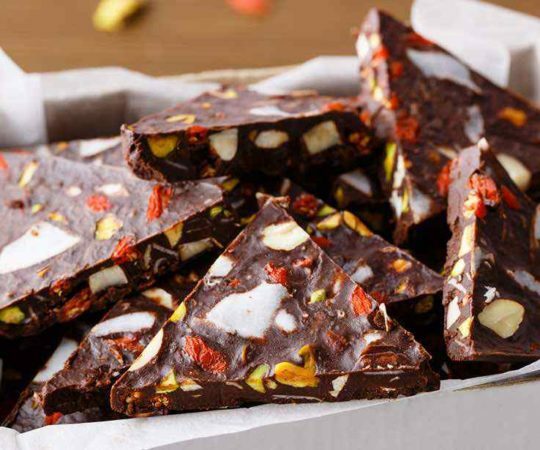 The rich and sweet flavors are a wonderful treat for adults or kids. Preheat the oven to 350 degrees F. Line a baking sheet with parchment paper. In a large bowl, whisk together the egg whites, honey, vanilla, lemon zest, and salt until foamy. Mix in the ghee and coconut flakes. Let rest for 20 minutes to allow the coconut to soak up the liquid. Spoon 1 tightly packed tablespoon of the mixture onto the lined baking sheet. Repeat with remaining batter, and then bake for 8-12 minutes. Remove from the oven once the macaroons turn golden. Carefully transfer to a wire rack to cool completely. Finely chop the pistachio nuts and set aside. Prepare a double broiler and melt the chocolate and coconut oil for the coating. Dip the bottom of each macaroon in the chocolate and place on the wire rack with the chocolate side up. Sprinkle with chopped pistachios and allow to dry. Macaroons look delicious..do not know what ghee is? Thanks Shirley! Ghee is clarified butter, used here because most Paleo followers do not eat straight butter. I am able to find ghee at Trader Joe’s. I am new to paleo, and was never interested in baking before, so I mostly adhere to the simple things (meats and vegetables and nuts and eggs). But I just tried your recipe, and even I got two badges of very nice macaroons – two, because I ate the first one warm, without bothering with the chocolate-and-pistachio-part. I like that lemon zest flavour combined with coconut. Thank you for a great treat on a cold unfriendly day in Berlin! It’s so great to hear that you enjoyed them Barbara! Good luck on your future Paleo cooking adventures. Strictly speaking, butter is not Paleo, so I used ghee for the recipe. Can you substitute coconut oil for ghee? I believe that you could try substituting coconut oil, though it might change the taste a little. How can you store these? Are they ok to freeze? They may be good frozen, but I have not tried it. I store them in a glass container in the refrigerator. OMG, I just made a half batch of these and ate 2/3 of them they were so delicious!! 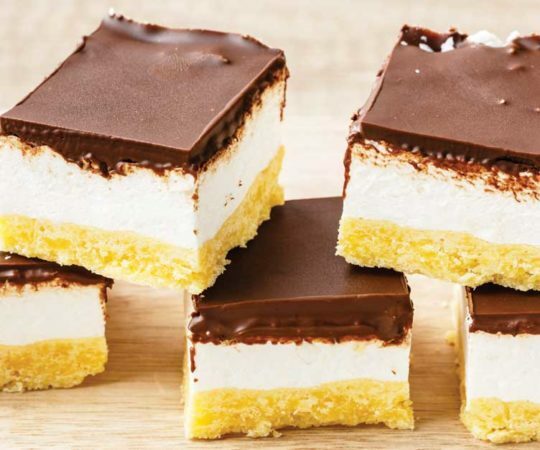 These are absolutely amazing – and clearly too dangerous for me to make very often! 🙂 Thanks for such a great recipe!! These were so awesome! Lemon brightened up the flavor so much. Want to make your macaroons but am confused. Paleos don’t have sugar so how can we use chocolate? What type of chocolate are you using here? You could maybe try some cacao powder mixed with coconut oil and coconut sugar or dates or date juice (water from soaking dates) to avoid using other sugars. Not sure of mix ratios – just have to experiment. 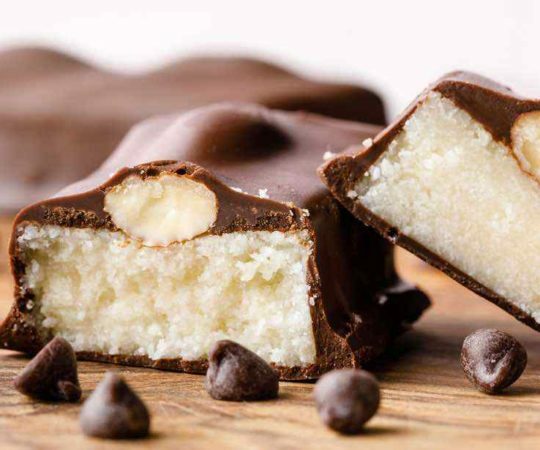 Your recipe for the coconut macaroons calls for dark chocolate, but doesn’t say if it is sweetened or not… your recipe did not add honey or any sweetener… I’d assume there might be a bitter taste if the chocolate were unsweetened… Can you clarify this?